When I first started eating Paleo Primal, I have to admit that I bought dressing because I thought it would be too much of a hassle to make. When I finally made my first batch of mayonnaise I realized I should have done this way sooner. Making your own dressings take minutes, and since it's something we use so much it really is important to be consuming the right ingredients. I have yet to find a bought dressing that does not have vegetable oil in it, and even though you might think "a little veg oil won't hurt." It does add up over time. Once you've started making your own, a whole new world will open up to you. You will be amazed at the multitude of variations that are available for you to make, and today I'm going to give you just a handful of these to start you off on this adventure. 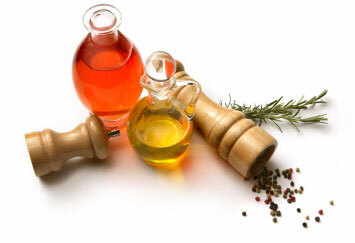 Dressings fall into two catagories - vineigrette type and creamy type. I make one of each on my basic day. I don't make more because fresh dressings don't really keep more than a week at most, and as I said, if I run out it only takes a few minutes to make more. Let's look at the creamy type first since I've already done a post on making mayonnaise which is used as a basis for many of these. UPDATE : Since I wrote that post, Mark Sisson has come out with a Primal mayonnaise that is amazingly good. 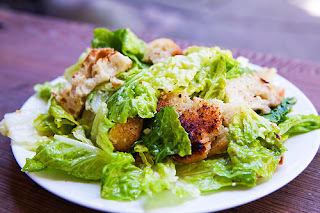 The first dressing that comes to mind for just about everyone is Caesar. This is a great staple to keep in your fridge because it goes with any type of leftover roasted or grilled meat, chicken or seafood you might have from your dinner. Just take a few handfuls of greens, add the chopped protein, a bit of dressing, and you have a great Caesar salad meal. 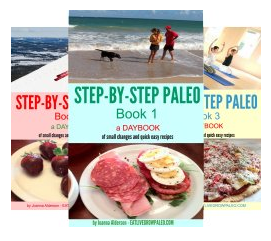 There are as many variations of this as there are cookbooks, but the basics are pretty much the same in most of them. - Put all the ingredients other than the oil into a blender. 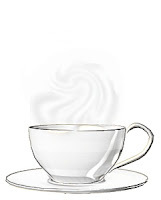 - Blend for a minute or two until all the ingredients are combined. - VERY SLOWLY (this is the secret) add the olive oil while running the blender. Don't add too quickly or you will just end up with an oily mess. As you add the oil you will notice the dressing slowly thickening. This makes approx. 1 cup of dressing. Refrigerate until needed. Variation : If you are going to be making seafood Caesars (cold salmon is excellent for this) you can add some chopped dill, either to the whole dressing when you make it, or just to an individual portion when you need it. Fresh dill is best, and it's easy to keep this on hand. Buy a bunch on your shopping day, chop it up when you're making your basics, and keep it in a small container in your freezer. Then you can take out however much you need. Also, if you can afford this, macadamia nut oil makes a great replacement for the olive oil and gives you a much more delicately flavoured mayonnaise. 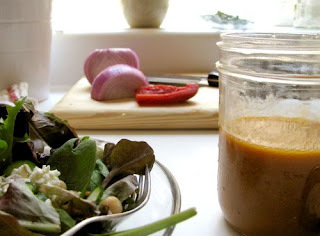 This is another mayonnaise dressing that is really delicious, especially if you love garlic. And it's simple to make. Just add a teaspoon of garlic, chopped very fine and a teaspoon of finely chopped rosemary to about a third of a cup of mayonnaise. You could also use dried Italian spice mix as an alternative. I love this with cold roast beef. 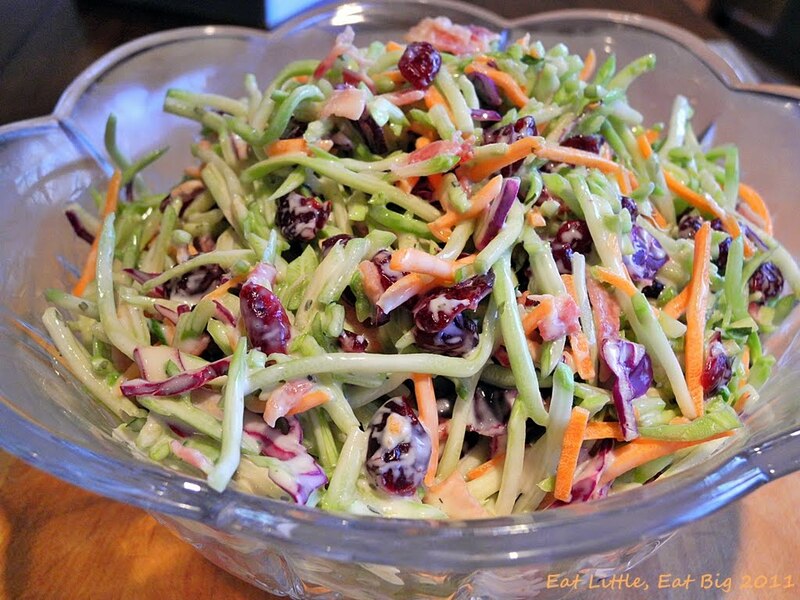 Coleslaw is one of those things that tastes the best once the flavour of the dressing has been allowed to seep into the vegetables, so make up a batch of coleslaw on your basics day and add to your salads throughout the week. You can get pre-shredded coleslaw mix. I like using the broccoli one as well and mixing it in with the cabbage. 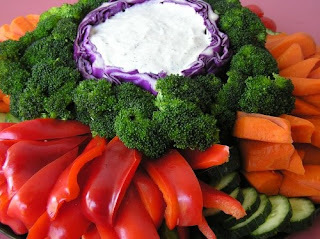 This is a great way of getting all the nutritional value of many different raw vegetables. Mix and use. 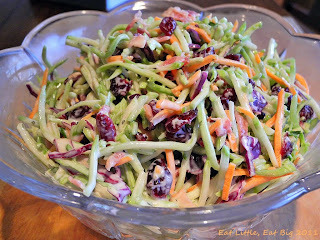 This will cover two bags of chopped slaw - either all cabbage or the two combined the way I do it. This not only is a popular salad dressing, it also makes a great dip for raw vegetables. - Put all the ingredients into a blender and blend well. 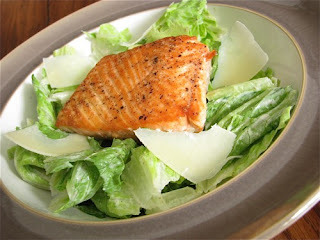 If the dressing seems too thick, add a bit of vinegar or even a little water to thin it to the consistency you prefer. 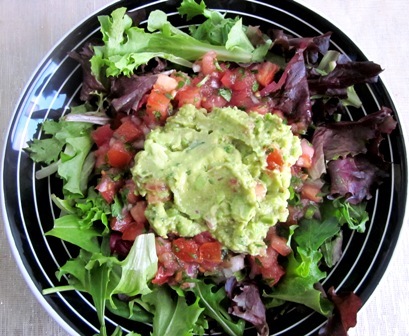 - Scoop the avocado out of it's skin into a blender (minus the pit of course). Add all the rest of the ingredients other than the oil and blend. - Add the oil a little at a time and blend until this is all incorporated. It's not as important with this to go slowly as it is when you make mayo, but it still helps to take your time if you want a smooth creamy dressing. This is absolutely delicious on a spinach salad, and gives you the added bonus of bacon bits on your salad as well. Add a poached egg and you've got an amazing and very filling meal. - Fry the bacon until it's crispy. Remove and set aside. - Put all the rest of the ingredients into a blender and add 2 tablespoons of the bacon grease from your pan. - Toss with greens and top with cooked bacon. 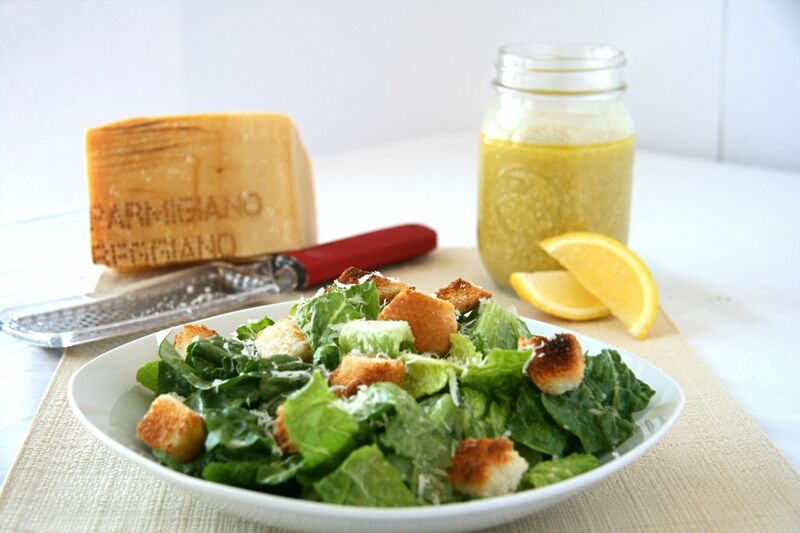 Now we come to the second type of dressing - vinaigrette. Here is my basic recipe and a few variations. Don't be afraid to try some of your own. Just about any oil with any vinegar will work. 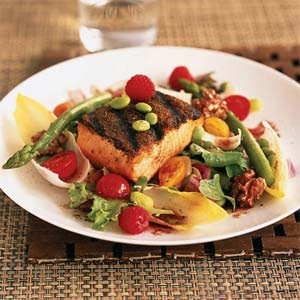 Add herbs and/or spices of your own and you will have your own made-to-order recipe. If you have never made this before, I suggest you start with olive oil and lemon juice or apple cider vinegar, then experiment from there. You're limited only by your imagination. 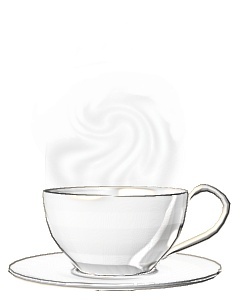 - Put all the ingredients other than the oil into a blender and blend until combined. - Keeping the blender running, add the oil slowly until you've added the whole amount. I love to make this in the winter when the oranges are in season. I don't eat lots of oranges because of the sugar, but adding this dressing to my salad gives me all the flavour I'd otherwise miss. And sometimes I do splurge and add a few pieces of fresh orange as well. 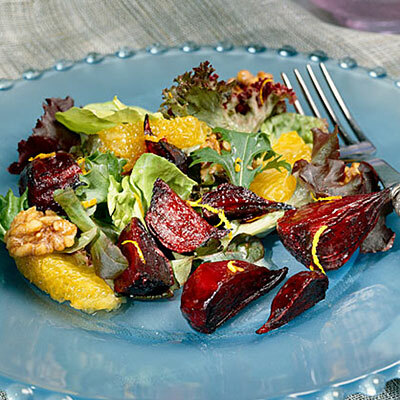 This is especially good with a few slices of cooked beets and a sprinkling of walnuts. Make sure you use organic raspberries for this. Here a small amount will go a long way. This dressing has so many possibilities. Would you have thought it would go with cooked salmon? I didn't but it was delicious! Finally, I want to give you my recipe for Pesto. 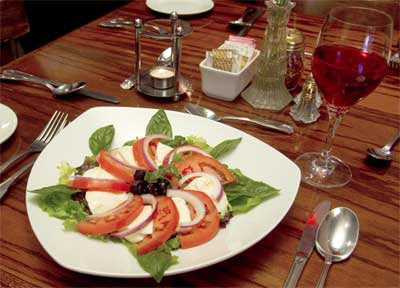 .... and in the summer, when tomatoes are fresh and plentiful, you can't beat it in this simple Italian Caprese salad. It's very easy to make. 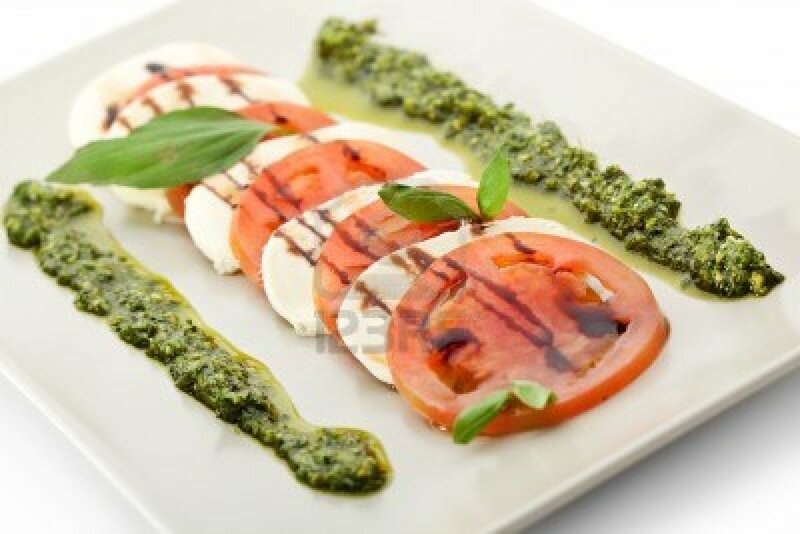 Just slice tomatoes and fresh mozzarella, then drizzle with pesto and season with salt and pepper. 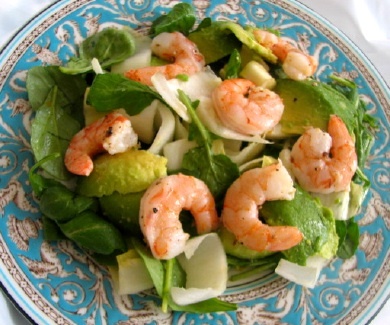 There are many variations of this salad. Some people like to add slices of red onion. 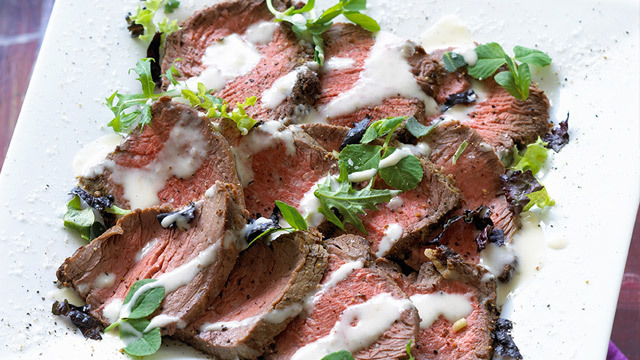 Another variation is to drizzle the whole thing with a little Balsamic vinegar before serving. 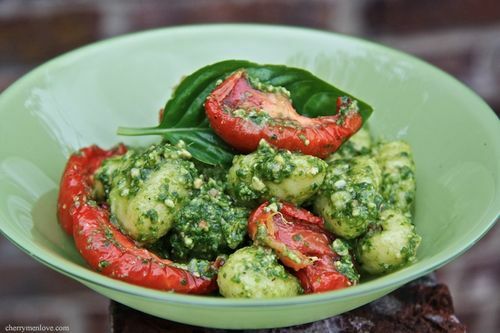 This isn't a dressing variation, but while we're talking about pesto, don't forget it can make a great meal with my gnocchi. Add some grilled tomatoes and sprinkle with a bit of grated parmesan to finish and you have a fabulous meal. I make this all the time in the summer when tomatoes and basil are abundant in my garden. - Put the nuts, parmesan and garlic in your food processor and pulse until everything is just mixed. - Add the basil and pulse a few more times until the basil is well chopped and everything is mixed. - Turn on the processor and SLOWLY pour in the oil, scraping down the sides of the processor when necessary to incorporate everything evenly. 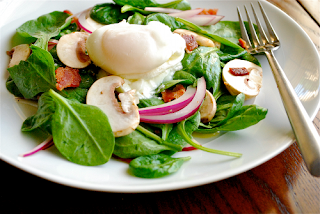 Variation : In the winter when basil is expensive I've made this with baby spinach or arugula. The taste is different, but it's still very good. 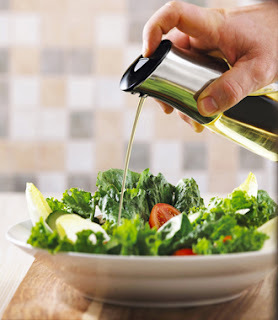 This should give you a nice variety of dressings to choose from, and now that you have some basic recipes, you can experiment with your own mixtures of oils, herbs and vinegars. Of course, once you stop buying all those ready-made dressing in bottles you will need one or two nice salad dressing containers. The cheapest solution is to dump your old non-Paleo dressings, wash out the container, remove the label, and then reuse these. 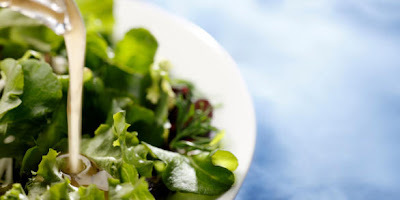 You will need to mix your dressing in a blender, especially if you want it to be creamy, and I think the perfect solution is one of the small personal blenders. Since you can also use these for your protein shakes this dual-use small appliance can be a great addition to your kitchen. Or you could treat yourself to one of the nifty bottles available that allow you to mix and serve in the same bottle. Personally, I like the battery powered ones that allow you to quickly remix before serving. What a wonderful resource! I love that dispenser that is pictured near the top, where can that be found. Thanks for sharing these recipes. Thanks Deannie. I've added the link for the salad dressing dispenser just below the photo.